STEUBENVILLE — Catholic Central will face its toughest test to date when it opens its 2018 home season today against Southern Local. The kick for the first-ever meeting between the schools is set for 7 p.m. inside Harding Stadium. Both clubs will enter with 2-0 records, and Central will celebrate Parents Night before the game. “Southern Local is a very, very-good football team,” Central coach Steve Daley said. “They have nice size, athleticism and are very physical. We have our hands full this week, no doubt about it. Three weeks into the season and this is a huge challenge for us. The Indians have seen much improvement over the past few years. They won just five games during a three-year span from 2013 to 2015. A season ago, they went 5-5 and lost two games by a total of seven points. Rich Wright is in his fourth season as the Southern Local coach. Southern opened its season by topping Edison, 39-13. In Week 2, the Indians finished off River, 30-6. That game was halted at halftime on Friday due to a power failure, so Southern had to travel the 85 miles back to Hannibal to complete the contest on Saturday. “They mix it up well offensively, and they give you a ton of different formations,” Daley said of the Indians. “They do a little bit of everything as far as the run and pass go. The fullback Daley mentioned is River Pappas, who played for Edison before transferring to Southern. Junior Jayce Sloan calls the signals for Southern, while fellow junior Dylan Milhorn gets the bulk of the carries. Cam Grodhaus is the leading receiver for Southern, but also is a threat to run the football. He played a key role for the Indians in 2017 when the offense averaged 36 points per game. “He (Grodhaus) made a lot of plays for us last year,” Wright said during the preseason. Southern returned a number of starters to its defensive unit, which allowed an average of 30.3 points per game through the first six weeks of the 2017 season but held opponents to just 8.6 points during the final four weeks. The Indians posted two shutouts during that period. Linebackers Hunter Morris and Mark Soukup led the unit, while Brad Sloan is a force in the secondary. Central is off to a 2-0 start for the second time in as many years. The Crusaders blanked Toronto, 35-0, and topped Oak Glen, 41-20. 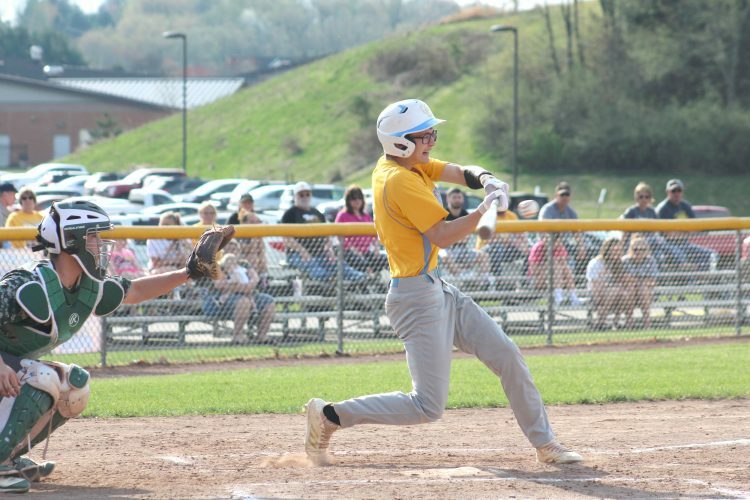 “We made too many mental mistakes against Oak Glen, and our kids know that,” Daley said. “We had three opportunities inside their 20 during the first half and didn’t come away with any points. Mental mistakes hurt us on all three opportunities. You just can’t make those sort of mistakes. The Crusaders finished with 433 rushing yards, which Daley believes may be a school single-game record. Three players finished with more than 100 yards. Senior dual-threat quarterback Justin Hartzell ran for 176 and three scores. Fellow senior Noah Fayak added 109 and a score, while junior Jayden Keeder posted 103 and a TD. In two games, Hartzell has rushed for 243 yards and four scores, in addition to passing for 266 and four more touchdowns. Keeder has 153 rushing yards. Fayak and Anthony Fallon both have three catches. As a unit, Central’s offense is averaging an area-best 444 yards per outing to go with 38 points. The Crusader defense is allowing 271 yards per game and 10 points. Daley said the keys to a CCHS victory on Saturday are pretty much the same as they are any other week. After Saturday’s home game, Central will hit the road again for three consecutive weeks before playing its final four contests at Harding Stadium.